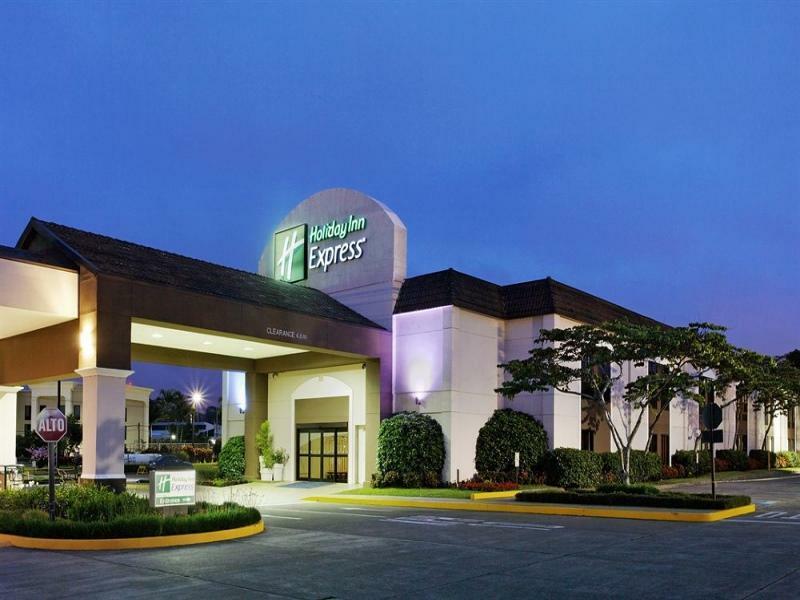 ﻿ Best Price on Holiday Inn Express San Jose Costa Rica Airport Hotel in San Jose + Reviews! Well-positioned in Catedral, Holiday Inn Express San Jose Costa Rica Airport Ho is the ideal point of departure for your excursions in San Jose. From here, guests can enjoy easy access to all that the lively city has to offer. For sightseeing options and local attractions, one need not look far as the hotel enjoys close proximity to Templo de la Musica, Precolumbian Gold Museum, Clínica Bíblica. At Holiday Inn Express San Jose Costa Rica Airport Ho, every effort is made to make guests feel comfortable. To do so, the hotel provides the best in services and amenities. A selection of top-class facilities such as free Wi-Fi in all rooms, casino, facilities for disabled guests, Wi-Fi in public areas, car park can be enjoyed at the hotel. The ambiance of Holiday Inn Express San Jose Costa Rica Airport Ho is reflected in every guestroom. non smoking rooms are just some of the facilities that can be found throughout the property. The hotel's recreational facilities, which include fitness center, outdoor pool are designed for escape and relaxation. 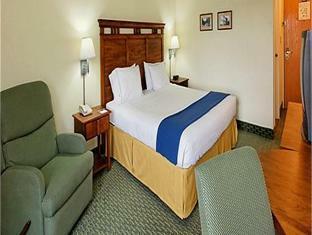 Holiday Inn Express San Jose Costa Rica Airport Ho is a smart choice for travelers to San Jose, offering a relaxed and hassle-free stay every time. Five minutes after clearing immigration , picking up our bags and walking past the barrage of ‘taxi’ vendors, we were checking in. Hard to believe the next morning while sitting beside a pleasant pool in a nice garden that we were parallel to a runway! Repeat visitors. Very convenient and reliable. Really good value for your money! We stayed in this hotel the first night upon arrival in Costa Rica and we enjoyed the stay. They have an airport shuttle that picks you up and brings you straight to the hotel within 10 minutes. Hotel is across from the airport Denny's which is a well known spot for pick up if you are planning any tours like us. We would definitely stay here again next time. Close to the airport and shuttle service! Nettes, der Preisklasse entsprechendes Hotel Nähe am Flughafen San José in Costa Rica. Nettes unkompliziertes Personal. Großes, sauberes Zimmer mit bequemem Bett. Bij aankomst in San Jose direct per hotel shuttle naar Holiday Inn Express gegaan. Binnen enkele minuten ben je in het hotel. Het personeel was zeer vriendelijk en behulpzaam. Ontbijt buffetje met alles er op en er aan, Zeker een aanrader voor eerste of laatste nacht in Costa Rica.